Ohio Garage Interiors specializes in garage interior design brings garages to a new level of prestige. 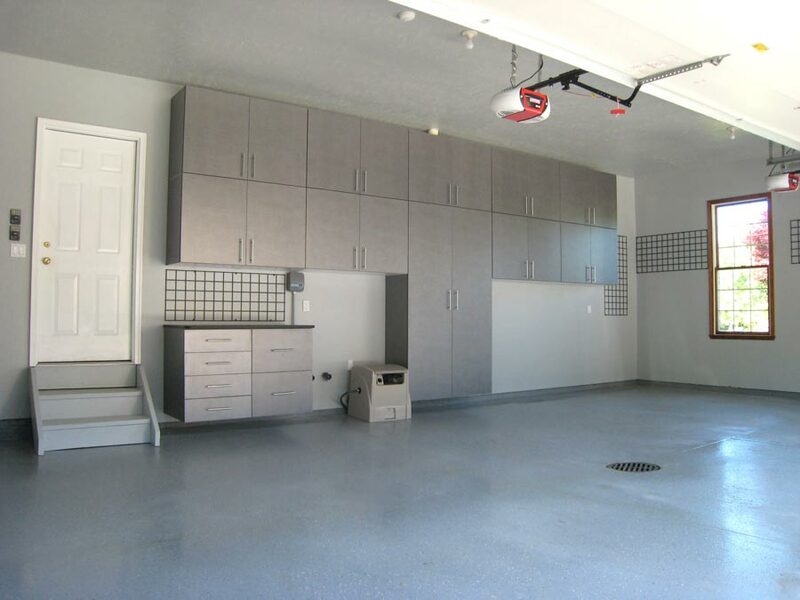 They install high-end polymer coatings for garage flooring, cabinetry and storage systems. Ohio Garage Interiors is a name associated with variety and durability. They offer a large variety of different styles and utility options, allowing for significant improvements in organization. Beauty and functionality are a combination Ohio Garage Interiors will always provide. The owners of Ohio Garage Interiors, Chad and Scott Gleske, are a father and son team providing service in the areas of Akron and the Lake Erie Islands. However, the owners themselves are not the only family in the business, the rest of the staff functions like a family as well. When installing any of their specialty storage systems, cabinetry or floor coatings, Ohio Garage Interiors always uses their own employees. They never hire subcontractors because they want customers to always know who they are working with. They want to ensure there are knowledgeable people working on all customer requests. Ohio Garage Interiors also makes sure they do not take on workloads in time frames they cannot handle. This means they can always do quality work and satisfy any customer’s needs. Ohio Garage Interiors take pride in traditions such as hiring intelligent people, using quality products, and staying true to their word. They also value punctuality at a high degree to keep customers from worrying about the tardiness of employees. In addition, the products they use come from reputable companies from around the country. Coupled with their advanced installation techniques and modern equipment, Ohio Garage Interiors’ performance is consistent and convenient. Ohio Garage Interiors will make you a home storage system designed to your garage space, personal specifications and stylistic preferences. Their high-quality designs will maximize the usefulness of your space and create incredible utility, and they have a near-limitless variety choices for personalized garage storage. They will also professionally install this unique organization storage system just for you and your things. Your home organization will become much easier to handle due to the hassle-free installation and useful design from a sales staff of professionals. Upgrading your garage becomes a fun, intimate process with Ohio Garage Interiors. They will give you exactly what you want and make sure you are satisfied with the final product. Their highly professional, trustworthy staff will take your garage to a new level of prestige, causing envy to rise in anyone who takes a step inside. Ohio Garage Interiors will not waste your time, and you will be glad you chose to work with them.